We’d love your help. 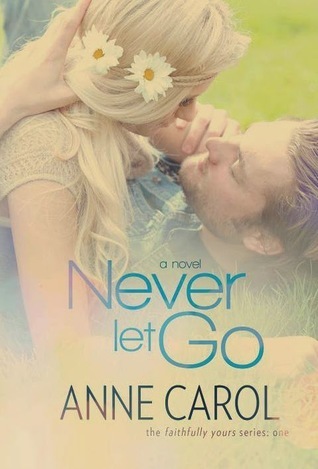 Let us know what’s wrong with this preview of Never Let Go by Anne Carol. Beth Johnson is an ambitious high school senior from suburban California with a secret passion for writing. David Somers is a charming young Englishman who wants nothing more than to play guitar in his up-and-coming rock band. Though worlds apart, when fate brings Beth and David together in London in the Is it possible to find your soul mate on the other side of the world? “What’re you doing?” I threw my arms around his neck, securing myself to him. “I’m carrying you home,” he said firmly, his voice shaken. “But it’s two more blocks. You can’t carry me that far,” I argued.